Adams State University professor Lukus Klawitter balances extensive triathlon training while teaching multiple undergraduate and graduate level classes. Klawitter has a running background that started back when he was a young kid being raised in Hutchinson, Minnesota. Klawitter followed his brother’s footsteps by joining the cross country team in middle school. While running track and cross country throughout school, Klawitter also played hockey which Minnesota has a rich tradition with. He worked with a local bike shop in high school and found his passion for bicycles then. After high school Klawitter attended Moorhead State University in northwest Minnesota to compete in cross-country and track and field at the NCAA Division II level. While loving the sport and training hard, persistent injuries ended his collegiate running career after his freshman year. These injuries were the start of a four and a half year hiatus from full training. Klawitter finished his education at Moorhead in 2013 and then moved to Alamosa to pursue a master’s degree in exercise science. 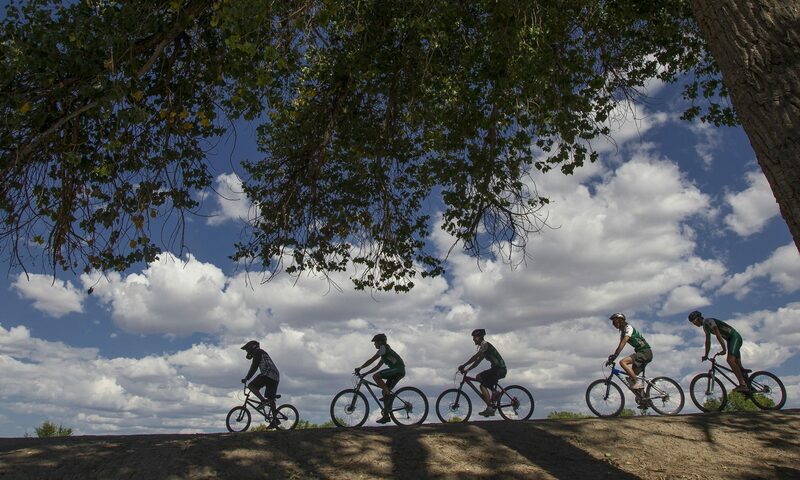 While continuing through the program he continued to cycle and swim and he then discovered his passion for mountain biking in the San Luis valley of Colorado. Klawitter began to fall back into full time training as he began to run more often. 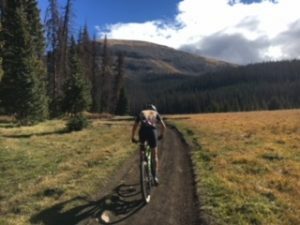 Once graduating from the Adams State HPPE Master’s program, Klawitter learned from a friend and local physical therapist about Xterra triathlon. After looking into what Xterra was all about he decided to train full time as he was able to remain injury free more often by training for all three events of the triathlon. From there Klawitter found his niche on the Xterra off road triathlon circuit. Last year in his first year as an amateur Xterra athlete he qualified for the World Championships in Maui, Hawaii. Klawitter a year later has qualified once again for the World Championships after winning his amateur age division of the Pan-American Championships in Ogden, Utah. Klawitter finished in a time of 2:50:43 and finished 26th overall among amateurs and professionals. Klawitter has been working as a full time professor at Adams State and a full time athlete. With aspirations of a professional triathlon career he also plans to pursue a PhD in sport physiology. Here is a little more depth on Klawitter’s story to Xterra, life as an athlete and academic, and his future career aspirations. How did you get into Triathlons, Specifically off-road (XTERRA) Triathlons? A former Physical Therapist of Alamosa and good friend told me about Xterra while I was seeing him for some running related injuries. The bike portion is very similar to cross country running and the running portion was on trails. I was pretty convinced I would enjoy the sport immediately. What does a typical week of training and teaching look like for you? This depends a lot on the day of the week. I time my workouts around my class and office hours’ schedule. For example, Monday and Wednesday I wake up around 6:00am, make coffee, and take my dog for her morning walk. From there I prep breakfast and in my office at 8:00am and teach until noon. I do my pool workout from noon until 2:00 and head home for lunch and my dog’s afternoon walk. Then back out for either a bike or run workout. Then finish my day with supper and class prep and grading until bed. Typically training hours on a weekday are 1.5-3.5 hours. How do you balance such a heavy teaching load with the heavy volume required from triathlon training? It is actually not too bad as long as my focus stays disciplined. My time is focused towards my students then my training, and all other down time is for my dog. I try very hard to give extra time to my students if they need it and make sure I get all grades and feedback back to them within a timely manner. I am also very lucky to have good friends like Dr. Zuleger, who like to take my dog for a run or make sure she gets fed some days that I am extra busy. What have some of your 2017 goals and what goals do you have for the future? My 2017 goals going into the season last spring was to win my age division and be the top amateur at the Pan American Championships, and be amongst the top amateurs at the world championships. So far I won my age group at the Pan Am Champs and was the 6th overall amateur and looking to bring my fitness and mix it up at the world championships this October. Future goals are definitely to turn pro and see how far I can take myself in the sport. I am sitting in a good position right now as a top amateur or mid pack pro. Do you have anything planned for the rest of 2017 after Maui? After Maui I plan on eating a lot of pizza and enjoying a fair amount of beer to relax for a few weeks. My biggest goal in the off season is to focus on my swimming and really improve going into the 2018 season. I also will be performing research with my undergrad and graduate students to get ready for the Rocky Mountain ACSM conference. What are you academic aspirations? My academic goals are to pursue my PhD in Sport physiology. 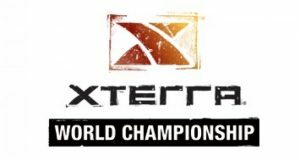 This was the original plan until I started finding success in Xterra, I decided to see how I could progress in the sport and continue my education when I feel I met that point. I have a lot of motivation to better my academic background thanks to Adams State and the professors I have been able to interact with here. I am very excited to see where both goals take me. The ASU applied sport psychology graduate program, in collaboration with the ASU athletic department, is thrilled to announce the opening of our new mental training lab! This is an exciting opportunity for all ASU athletes to improve their mental skills in sport and maximize their potential. Many major American professional sports teams, elite Olympic-caliber athletes, and major universities around the world utilize mental skills training as part of their everyday practice routine. The question many people have is: what are mental skills? Well, they are just that – skills! Some confuse mental skills with personality traits. For example, confidence, attitude, composure, resiliency and concentration are all skills that many believe you either have or you don’t. However, since they are skills, they are things that can be trained! At the mental training lab, our qualified graduate students can provide strategies and techniques for practicing mental skills so that athletes can play at their best. Dr. Brian Zuleger (click link for bio) an assistant professor in the Human Performance and Physical Education department is a certified consultant with the Association for Applied Sport Psychology and a member of the United States Olympic Committee Sport Psychology Registry and oversees the mental training lab as well as mentoring the graduate students. We highly encourage athletes to come visit us before there is a performance issue, or a slump, so that we can work together to avoid them! We operate from an educational “build-it” model, rather than the traditional “fix-it” model that tends to simply apply band-aids to issues without addressing the underlying problem. If you are already experiencing performance issues, by all means, do not hesitate to come and see us. We will do our best to meet your needs as we will any athlete. Be aware, there are rarely any easy “fixes” when it comes to mental skills, but that does not mean it is not worth it to address weaknesses or even improve strengths. We ask you to keep in mind that those who work in the mental training lab are not licensed psychologists, and mental skills training is not therapy. If you are struggling with depression, substance abuse, or need crisis intervention or help with an eating disorder, please contact Lis Tomlin (719-587-7746) at ASU Counseling Services immediately.